Pale blue larimar mixed with white faceted Czech glass and peridot Swarovski crystals in a fabulous necklace. Blue green rondelles in colors of the Caribbean. 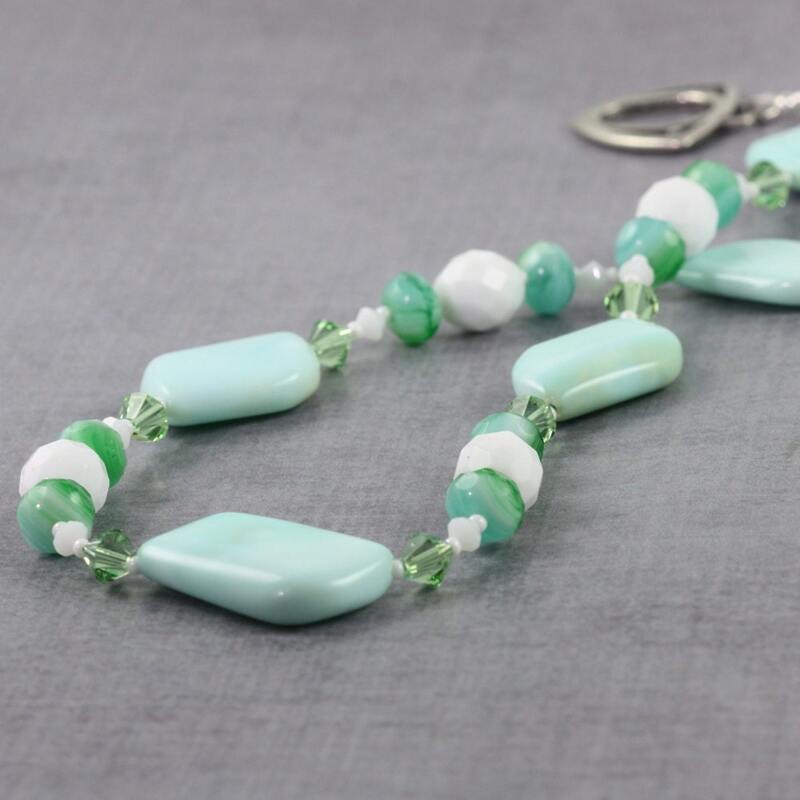 Feel the ocean breeze in your hair when you wear this sensational larimar necklace. A sterling silver toggle clasp, in the shape of a triangle, adorns the 24" necklace. Necklace is shown with matching bracelet. Your necklace will come with a pretty fabric drawstring bag for safekeeping or for gift-giving. Amazingly beautiful necklace. I love it!